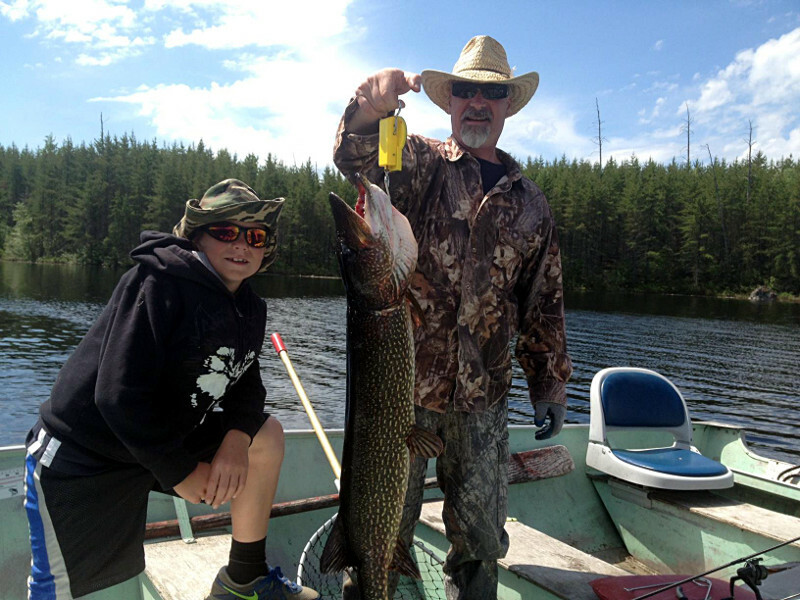 Other Camps on Lake: Yes, at least six other Outfitter Outpost camps and a Fly-in Fishing Lodge. 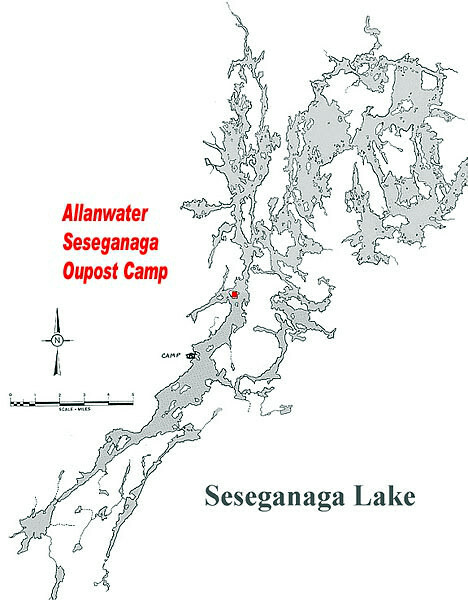 In the Ojibwa language, Seseganaga means “many rooms.” Visitors here will find this to be true as they round each new point and discover yet another bay. 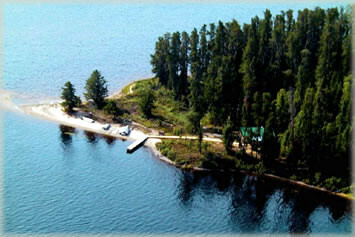 The outpost on Seseganaga Lake, south of Allanwater Bridge Lodge, is a newer log cabin, ready to accommodate 8 people and equipped for housekeeping. 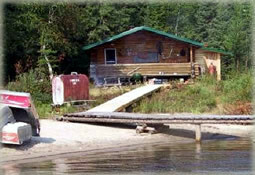 As an added bonus, the Lake Seseganaga Island outpost has two unique attractions — a great sugar sand beach for those that want to lounge, and Lake Trout fishing for you trout lovers. The only thing our beach has missing is a thatch roof cabana and a steel drum band. It’s beautiful and perfect for a dip on a hot July day. 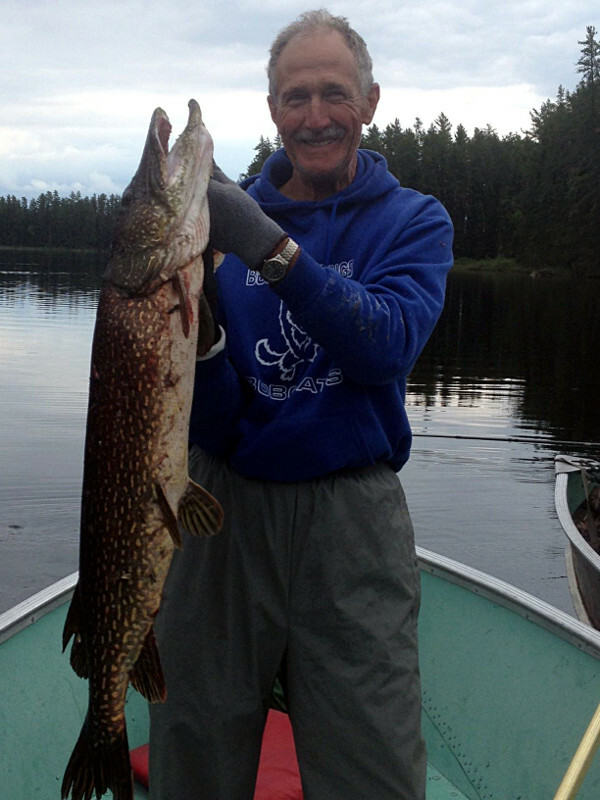 Out past the beach (for those brave enough to challenge the deep running brutes) you’ll find Ses’s big, lean Lake Trout. Native trout are sweet like candy, and a delicious treat grilled up with a bit of butter, lemon and dill. 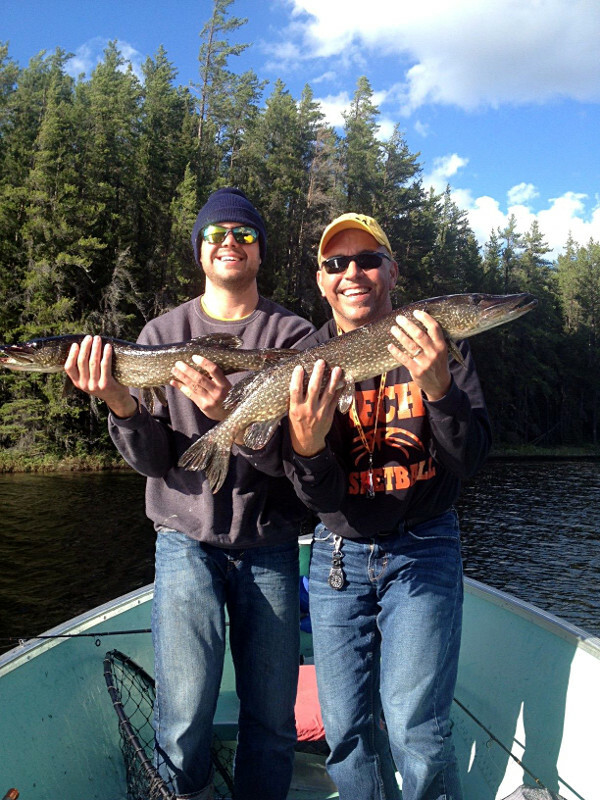 Trout fishing is best from May 15 until mid-June and then again after mid-September.